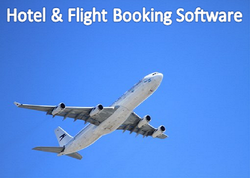 Hotel Management Software is fully integrated hotel software. Designed to fulfil needs of most functions Front Office, Back Office Accounting & Point of Sale etc. Feature Cube Hotel Management Software. Reservation, Hotel Management, Restaurant, Accounts, Inventory And Many More. Online Reservation & Room Vacancy Viewing. Restaurant Item Wise Sales & Restaurant Item Inventory. Photo Identity Proof & Photograph of Costumer From Within Software. Wehaso Solution offers windows based offline Hotel ERP Software in Kolkata, West Bengal, India. - Easy accounting and end of day closure. - Save at least 1 hour per day. - Uniform and better pricing management. - High quality bill generation. - Point of Sales Restaurants /BAR /Laundry/SPA. - Accounts Receivable, Accounts Payable. Pre-registration, onsite registration for Event Staff and Guests. Allowes guests to pre-register online, customize sessions and make payemnts. Integration with EventBright and import/export tool can simplify registration process. With years of experience in this domain, we are engaged in offering Hospitality Management Systems to our clients. With deep understanding of various technologies, we provide world class management services that suit the demand of the customers. Offered within stipulated time frame, these services are highly reasonable at price.